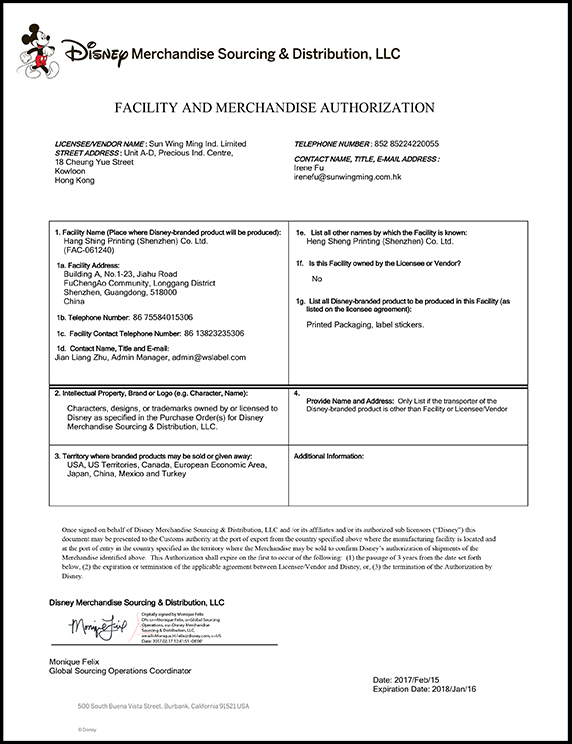 We have already got the FAMA, Facility and Merchandise Authorization authorized by Disney. FAMA need to submit to China Customs when our factory ship the goods, to prove that our products are authorized through Disney, to make sure not only the factory is in safe condition, but also the products are safe. The most important is that China Customs also need this to prove the products are safe in all aspects, and to ensure that the products are imported in legal way, instead of counterfeiting Disney brand.